Sample and enjoy wines with a view at Viansa Winery. Located at the summit of Sonoma Valley, Viansa Winery offers panoramic views over its property, which includes 33 acres (13 hectares) of estate vineyards and 97 acres (39 hectares) of natural wetlands, home to a number of indigenous waterfowl. Viansa Winery offers a range of white and red wines, all made from grapes from the estate vineyards or sourced from grapes grown in Sonoma. Tastings can be held at their tasting bar, at a private outdoor outlook, or on their terrace, accompanied by picnic fare from their marketplace. Tours of the estate are also available. It’s possible to visit Viansa Winery and Sonoma independently, but for the most convenience, book a full-day wine-tasting tour from San Francisco, which typically includes pickup and drop-off and stops at several wineries in the Sonoma area, in addition to Viansa Winery. Private tastings must be booked in advance. Chardonnay, pinot noir, and sangiovese are grown on the estate. Outside food and beverage are not permitted; snacks can be purchased from their marketplace. Viansa Winery is located at the southern entrance to Sonoma Valley, about 33 miles (53 kilometers) north of the Golden Gate Bridge. It’s easiest to visit on a guided tour or to drive. Viansa Winery is open daily from 10am to 5pm. From late May to early September, the winery offers pizzas from their wood-fired pizza oven. On Saturdays and Sundays from May to October, enjoy live music from local artists. The winery also holds other special events from time to time. Over 500 species of birds have been sighted in the winery’s restored coastal wetlands, and as many as 1,000 waterfowl have been spotted in one day. Visitors may see Canada geese, egrets, darting swallows, blue herons, canvasback ducks, and even rare tundra swans. Whether you have a passion for wine or just want a day to relax, enjoy driving through Napa Valley with a professional guide. 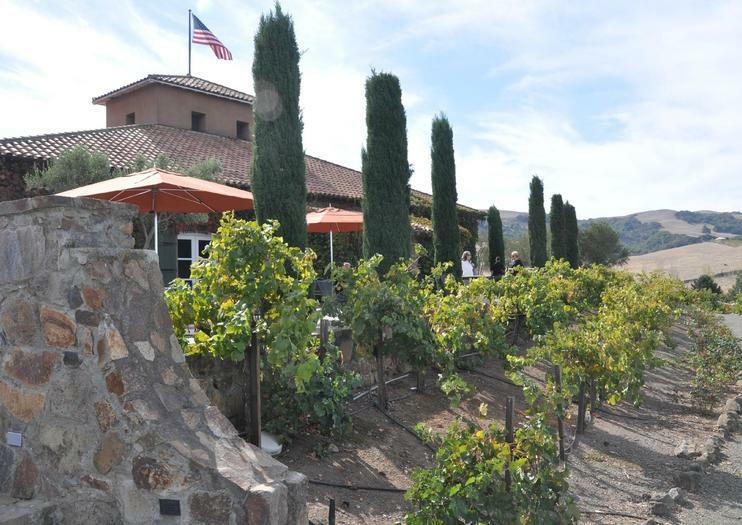 Stop at several of the major vineyards in this world-famous wine country. Take time to enjoy tastings and purchase new bottles for your collection. Kick back with friends or family, and let your guide do the designated driving.